Symptomatic relief of fevers and occasional mild or moderate pain, such as headaches, muscle (contractures), dental, menstrual or back pain. This medicine contains acetylsalicylic acid as an active ingredient: Reduces pain and fever. Aspirin 500 mg is indicated to relieve pain (headaches, dental, muscular, back ...) and to reduce fever. If you regularly consume alcohol (three or more alcoholic beverages-beer, wine, liquor, ... - a day) aspirin 500 mg tablets can cause stomach bleeding him. If you are pregnant or think you may be pregnant, consult your doctor before taking this medicine. The consumption of this medicine during the first and second trimester of pregnancy can be dangerous for the embryo or fetus and should be monitored by your doctor. Do not take this medicine during the third trimester of pregnancy, as it can prolong labor and contribute to bleeding of the mother or baby. Women breast feeding should consult a physician before using this medicine, as aspirin passes into breast milk. Adults and children over 16 years: 1 tablet (500 mg of acetylsalicylic acid) every 4 to 6 hours, if necessary. It shall not exceed 8 tablets (4 g of acetylsalicylic acid) in 24 hours. The tablets should be undone in a glass of water after meals or with food. You should not take this medicine on an empty stomach. Always use the lowest effective dose. If the pain persists for more than 5 days or fever for more than 3 days or symptoms worsen or other than, you must stop treatment and consult a doctor. 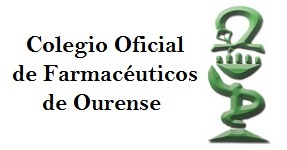 In case of overdose or accidental ingestion, immediately consult your doctor or pharmacist or go to a doctor immediately or call a poison control center center, phone: +34 91 562 04 20, indicating the medicine and the amount taken.